Despite the risk the wilderness posed, Samuels succeeded in escaping, with a gang no less. His gang of thieves proceeded to do what thieves do and robbed the home of a wealthy woman. The men were attempting to steal a bag filled with gold and silver coins from the woman’s desk, but in the process, a policeman showed up and someone in the gang killed him. After this murder / robbery, the gang was hunted down and captured. On account of the fact that Joseph Samuels had some of the stolen coins in his pocket when he was arrested and the fact that the woman identified Samuels as one of the people who robbed her, he was roughly interrogated and Samuels eventually confessed to the robbery, but claimed he did not kill the police officer. Almost all of Samuels’ fellow gang members were acquitted of this crime because of lack of evidence, except one- Isaac Simmonds, though Simmonds refused to confess to any crime at all. Joseph Samuels was convicted by the court and sentenced to be hung by the neck until dead. Thus, on September 26, 1803, at the tender age of 23, Samuels found himself before a noose. Also to be executed that day was another convicted criminal. The two were brought before a local crowd, who had come to witness the joint hanging. (Executions being a popular thing to watch at the time. Bring the kids!) The assemblage didn’t realize it at the time, but instead of the expected two hangings and two deaths, they were about to witness four hangings, but only one death. Isaac Simmonds was brought along by the police to watch the morbid event as well. The provost marshall escorted Simmonds to the hanging, hoping it would frighten him into confessing. At the time, hangings weren’t performed in such a way as to kill the person instantly. Instead of the more merciful “drop hanging” with an elevated gallows and a drop hole for the convicted to fall through, they placed the convicted person on a cart pulled by a horse. After the noose was placed around the convicted person’s neck, the horse would be slapped and would pull away with the cart. Thus, instead of a quick, almost instantaneous, snap of the neck, the poor convicted person would be left to slowly strangle to death. It wouldn’t be until half a century later that the more “humane” drop hole method of execution would be put into use. To ensure strength, nooses of the day meant for hanging were made of five thick cords of hemp. The rope’s thickness and durability enabled them to hold around 1,000 pounds without breaking. The respective nooses were put around the necks of Joseph Samuels and the other sentenced criminal. The two men were allowed to pray with a priest. Samuels was then given the chance to make a final public statement. Samuels proclaimed that he had, indeed, committed the robbery, but that the real murderer was actually standing right there in the crowd- then he proceeded to identify and point out Isaac Simmonds. Given that he’d just prayed with the priest and was about to die (thus wouldn’t want to sin by telling such a grievous lie unless it was true), many in the audience seemed to believe him, even going so far as to attempt to seize Simmonds. Nevertheless, after his little speech and once the crowd was calmed back down by the authorities, the horse was slapped and walked forward. As the other hanged man was left to his painful, excruciating death, the rope around Samuels neck inexplicably broke, causing him to drop to the ground, spraining his ankle. Another rope was brought in and Samuels was put back up on the cart. This time, when the horse pulled the cart away, the noose around Samuels’ neck unraveled, extending the rope enough to allow his boots to touch the ground. With Samuels’ previous assertion of his innocence and these two uncanny events occurring back to back using ropes that were inspected before being used, the crowd was now whipped up into a semi-frenzy and shouted for Samuels to be released, with many thinking it was divine intervention that was saving Samuels. 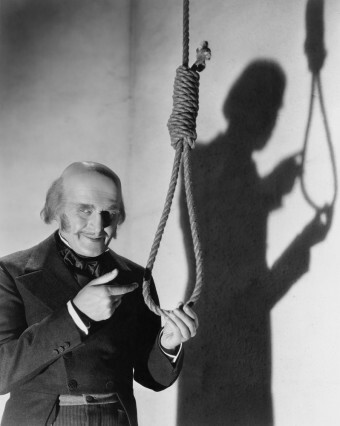 Nonetheless, a third noose was put around Samuels’ neck, again with the rope thoroughly inspected beforehand. Just as had happened twice before, he was lifted back onto the horse-drawn cart. The horse was smacked and pulled the cart away for the third time. Incredibly, the rope broke again. By now the crowd was fairly uncontrollable, shouting, and demanding the release of Samuels. The marshal then ordered the execution be delayed until he could find the Governor. The Governor was promptly rounded up, and after thoroughly examining the three ropes for signs of tampering, and finding none, he agreed with the crowd and ruled that the three broken nooses were, indeed, a sign from God of Samuels’ innocence. Joseph Samuels was released and a town doctor tended to his sprained ankle. Whether miracle or not, the fact remains that Joseph Samuels is the only known person to survive three consecutive attempts at hanging. So whatever became of Joseph Samuels? Did being hanged three times turn him from his thieving ways? Nope. Samuels immediately returned to his nefarious ways and was again caught, rounded up, and put in prison. Three years later, in 1806, he escaped, stole an open boat with eight other convicts, none of which were ever heard from again. It is generally assumed that they drowned. Oh yes, one last note: Isaac Simmonds was convicted and was hung for the murder of the policeman. Unfortunately for Simmonds, he had neither Joseph Samuels’ luck or divine intervention. His noose held. Great story! Glad I found out today! I enjoyed the article on Joseph Samuels being hung three times but your conclusion is wrong. John Lee from Babbacombe in Devon was found guilty of the murder of his employer, Miss Emma Keys, and was sentenced to hang. He denied committing the crime and, in fact, was asked about his strange smile during sentencing to which he replied, “I trust in God for he knows I am innocent!” Three times he stood on the trap, and three times it failed to fully open. (It opened fine when tested by the jailers holding the rope). John was not set free like Samuels but sent for life imprisonment. He was released and finished his days abroad.